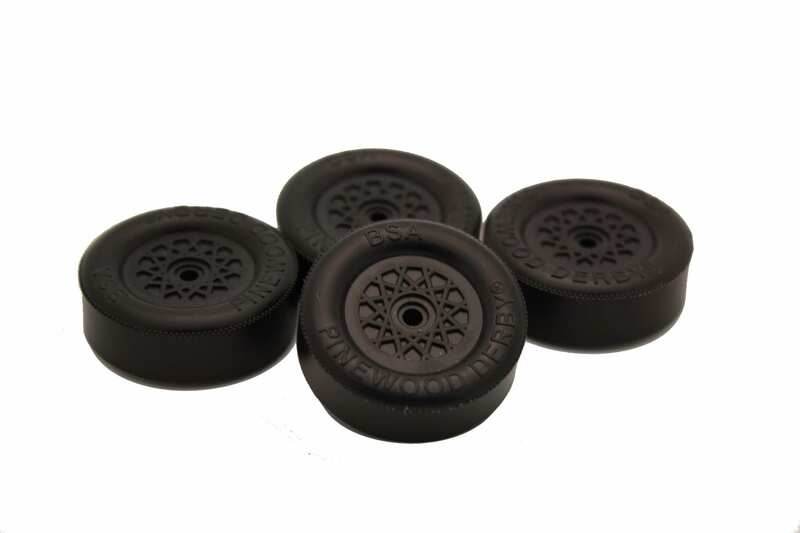 Well if you have done your research, then you know these are the Best Pinewood Derby Stock Wheels #15 Mold to have for the 2018-2019 season. If you have to be 100% stock or want a good set of wheels to start your project, these are the ones. After two years of sorting them out we finally have enough to start selling as a stand alone product. 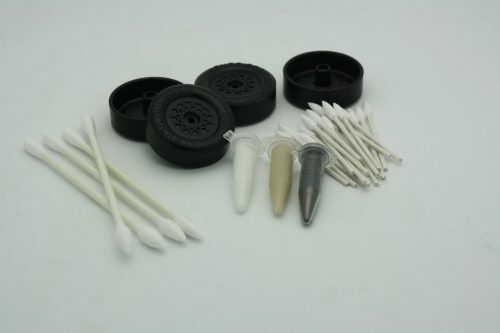 Well if you have done your research, then you know these are the Best Pinewood Derby Stock Wheels #15 Mold to have. If you have to be 100% stock or want a good set of wheels to start your project, these are the ones. After two years of sorting them out we finally have enough to start selling as a stand alone product. We used to consider the #8 mold, but have found out that the rounded edge is no longer smooth radius and is rather rough. We like the #15 mold for the 2018-2019 season. We will be selling that as our premium mold. 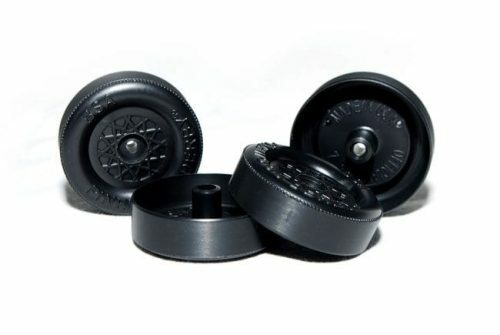 Best Pinewood Derby Stock Wheels #15 Mold come with an average inner bore diameter of 0.0975″ The inner bore typically is flawless meaning no ejection pin marks left inside the mold during manufacturing. Measured run out of entire wheel diameter of #15 mold is typically very small compared to other molds. Usually .003 out of round or less. Accuracy measured with dial gauge of +/-.0005 accuracy. This means that the wheel is mostly round prior to any lathe work. Concentricity of bore to outer wheel diameter is another important feature. This is where a true wobble will come from. 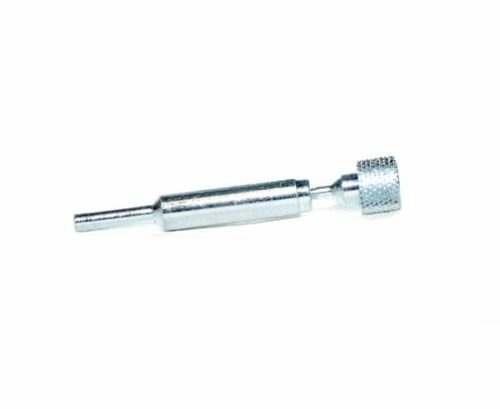 Most wobbles are due to friction and are easily remedy with a little lube. A true wobble is because the concentricity is off meaning straightness of the inner bore in correlation of the major outer diameter (axis) is slightly off. Most errors probably occur during the ejection and cooling process. Best Pinewood Derby Stock Wheels #15 Mold normally have minimum concentricity issues and thus have little to no wobble. And just for general knowledge. These parts (wheels) cost about .02 to make (if even that) . No one really knows the rejection process. I am more than certain, there is no real quality control other than does it look right. Just remember that the wheels never begin with good quality control. They are NOT perfect, and never will be. 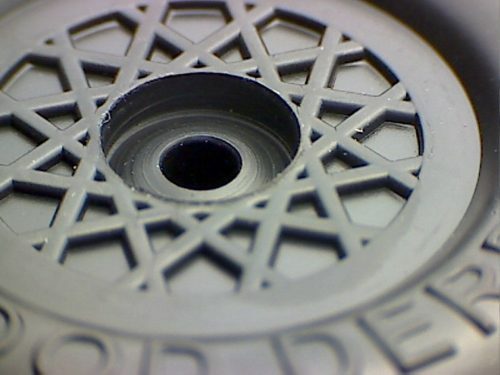 They are not machined from solid plastic, they are injection molded plastic. No matter what modifications are done to them, they are not precision wheels. You have to accept that. We do not presort or inspect these wheels for flaws. All #15 molds go in the same box. We simply package 4 wheels together to make a set.